“Seeds generally “wake up” and germinate when soil moisture and temperature conditions are correct for them to grow (Miles and Brown 2007). Each seed type has individual needs–take a minute and read about their specific germination requirements.” Click here: for “Seed and Seedling Biology” – from Penn State Extension. *We welcome all seed breeders/producers to contact us with updates on their latest seed information (and current distributor list) we can share with our customers when asked about seeds. Please click here to contact us. We do not sell or promote any brands of seeds or chemicals. Pro-Grow Professional Germination-Propagation Chambers with custom light-weight removable stainless steel shelves. Built-To-Last. 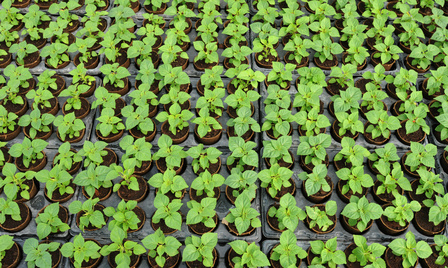 CLICK HERE for information about Seed-Starting Mixes and Propagation Mixes.